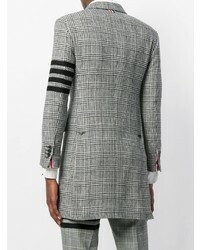 Marry a Thom Browne 4 bar prince of wales check wool high armhole chesterfield overcoat from farfetch.com with charcoal wool dress pants for a sharp, fashionable look. 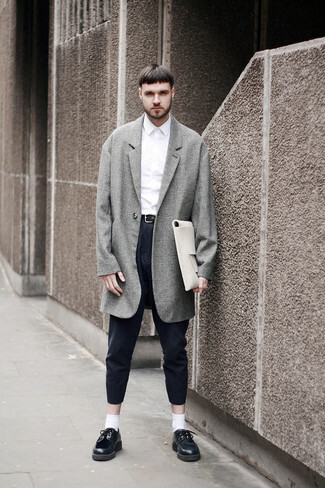 Why not introduce black leather oxford shoes to the mix for an added touch of style? 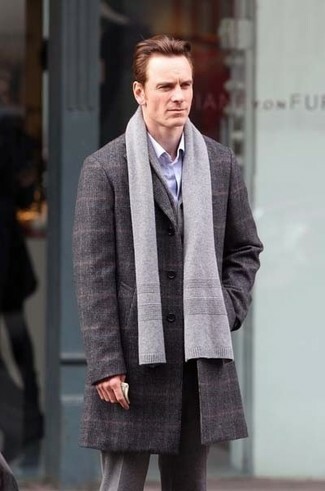 Pair a grey plaid overcoat with tobacco dress pants like a true gent. For something more on the daring side to complete this getup, make dark brown leather boat shoes your footwear choice. As you can see here, ensembleing sharp doesn't require that much effort. 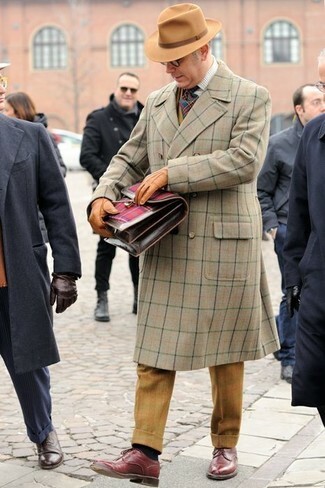 Just pair a Thom Browne 4 bar prince of wales check wool high armhole chesterfield overcoat with tobacco chinos and you'll look good. Up the cool of your ensemble by finishing off with burgundy leather derby shoes. For a nothing less than incredibly stylish outfit, choose a Thom Browne 4 bar prince of wales check wool high armhole chesterfield overcoat and navy dress pants. 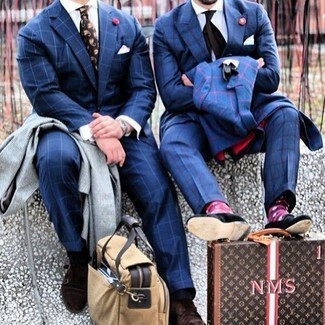 Opt for a grey plaid overcoat and a navy check suit for a sharp classy look. Opt for a pair of brown suede double monks to loosen things up. 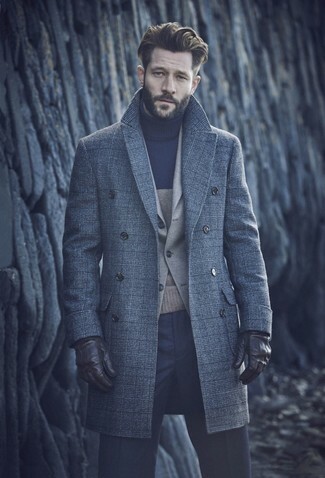 For a nothing less than incredibly stylish outfit, opt for a Thom Browne 4 bar prince of wales check wool high armhole chesterfield overcoat and a brown three piece suit. 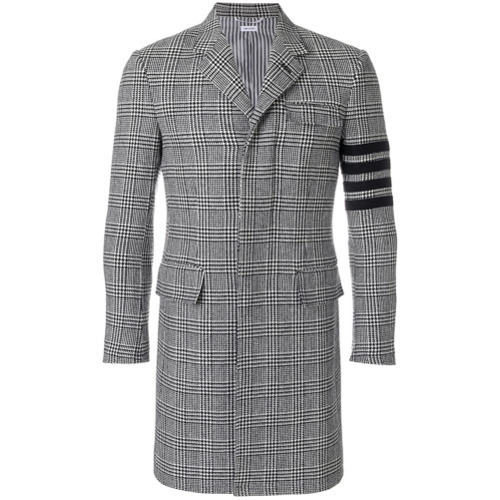 For a nothing less than incredibly stylish ensemble, wear a Thom Browne 4 bar prince of wales check wool high armhole chesterfield overcoat with navy check dress pants. 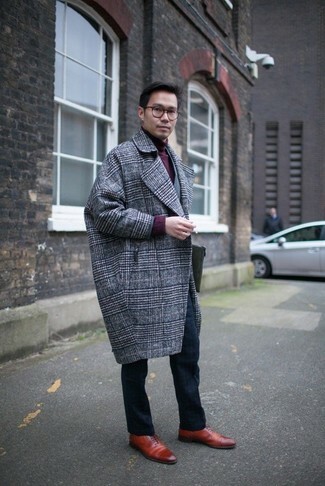 Rocking a pair of red leather oxford shoes is an easy way to add some flair to your outfit. 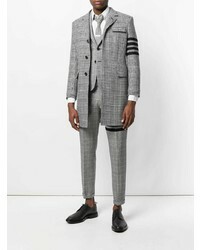 Try pairing a Thom Browne 4 bar prince of wales check wool high armhole chesterfield overcoat from farfetch.com with grey wool dress pants for incredibly stylish attire. 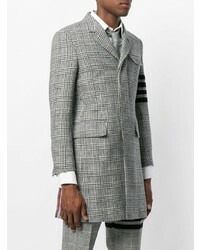 Make a Thom Browne 4 bar prince of wales check wool high armhole chesterfield overcoat and navy wool dress pants your outfit choice for a sharp classy look. 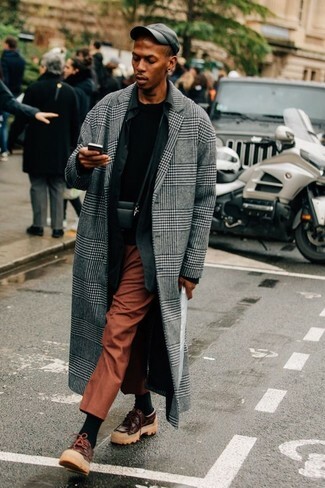 Throw in a pair of navy leather derby shoes for a more relaxed aesthetic.